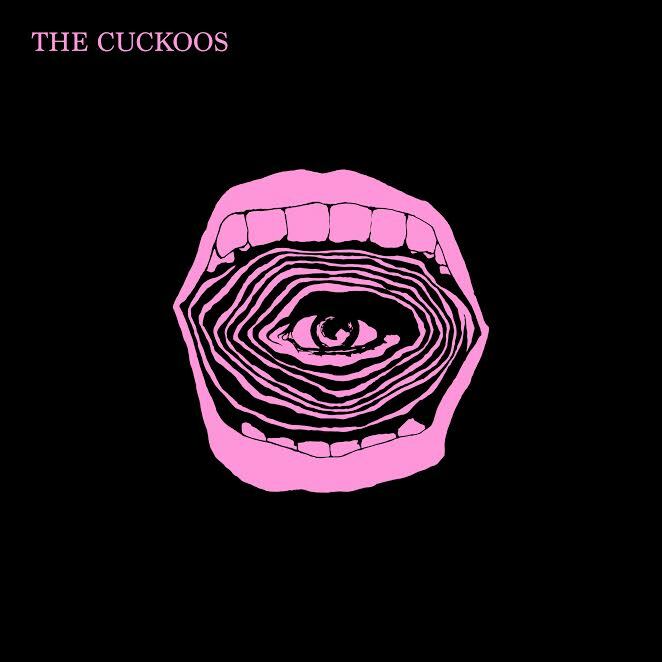 Track-By-Track: The Cuckoos – ‘The Cuckoos’ EP – Ouch That Hertz! Ah, sweet nostalgia- the tender reminders of days gone by. We oft harken back to simpler times- the days of our lives that we perceived as “less-stressful” (typically referring to shirked responsibilities and misdirected youthful exuberance) and carefree. Comparatively, the modern age’s uppity mania and oversaturated digitalized gusto has left us disenfranchised and exhausted with every smart-tech-tracked activity and pinging notification. It can be tough to unwind from the post-industrialist consumerist frenzy, as even sonoric and artistic minimalism seems to grow increasingly complex with each passing day. How, then, are we supposed to find respite and solitude within our busy lives if those once candid and unvarnished days continue to fade into memory? Herein, we’d like to refer you to Austin, TX’s The Cuckoos- a young quartet with an interest in classic rock styles and a mission to resuscitate ’60s neo-psychedelia. Groovy, spacey, and thoroughly gritty, The Cuckoos deliver an authentic quality that is determined to revitalize your psychedelic days in an acid-washed abundance of synth-drenched choruses and groovy licks that, in turn, produce nothing but good vibrations. Today, we are pleased to present to your eyes and ears the official track-by-track breakdown of The Cuckoos self-titled EP, penned by the band themselves! As always, each track is embedded for the betterment of your audio/visual experience. Enjoy! “Get It On” was the first of these songs recorded. I’d say it’s about moving to a new town with high hopes of having a little fun and finding a little love. Around this time we were listening to a lot of 1965-67 era psychedelic albums, like Rubber Soul by The Beatles and The Doors’ debut record. Dave plays a nice fuzz bass over my keybass in the track and also does some really gnarly slide guitar playing. I had my organ hooked to a phaser pedal and layered my synth over it to make it warble a little more. I think some newer groups like Tame Impala and King Gizzard and The Lizard Wizard also inspired us. I feel like everybody has had a time in their life where they’ve stumbled upon a person they’ve never seen or met before who just took their breath away. Whether they’re on a bus, in a cafe, or just passing you by on the street, you see them and you’re just drawn in by something about them. Too shy to do anything about it, you watch them pass and the two of you go your separate ways to live out the rest of your lives. But, in the odd hours of the night, when your mind is racing, you find yourself still thinking about them. You don’t know anything about them and you wonder why the image of them is still occupying your mind. You wonder what her name was and what her laugh would be like. You wonder what you’d be doing right now if you had only just said hello and introduced yourself. You think that maybe you would be with her right now instead of being alone. Because maybe she was the one- maybe you let her pass up. You fall asleep and find yourself stuck dreaming about a stranger you only saw for a few moments. I really wanted to convey this feeling in a dreamy, hypnotic sort of way. I think Dave’s slide guitar playing really adds to the atmosphere. One of my favorite parts is the vibraphone patch I used on my synthesizer- I was trying to make it sound like romantic psychedelic elevator music. “Mind Breakthrough” is one of our earliest songs, but it has definitely evolved every time we’ve played it. It’s about taking chances, opening up your mind, stepping out of your comfort zone, and getting a little weird. In this particular case, it’s about a guy meeting a girl who guides him and shows him how to open up a little bit. Life isn’t worth living if you’re playing it safe all of the time. Sometimes you have to get out and experience some wild times. Albums like The Doors’ Strange Days, Joy Division’s Unknown Pleasures, and Iggy Pop’s The Idiot inspired this song a lot. We really love playing this one live because there’s lots of room to experiment and try new things during the instrumental bits. “New Sunrise” is about a new dawn. Like I said before, sometimes you love somebody- and they love you, too- but they’re just on a different wavelength and set on a different path in life than the one that is set out for you. Sometimes people just need time to sort things out and find what path they need to be on in life, and trying to avoid that cna only push away the ones that you love. Sometimes love just doesn’t work out- it can be hard to go through, but wallowing in it only makes it worse. You’ve got to get up and look forward to a new day. You have to stop looking back at what you had and start looking forward to what you’re going to do with the rest of your life. I feel like sitting outside early in the morning as the sun rises can be the most peaceful and exhilirating time of day. I just greatly appreciate getting to watch the world wake up- how the sun slowly lights up the sky and the birds begin to sing. You start seeing your neighbors kiss their wives before heading to work. Soon enough, dogs start barking and people start mowing their yards… You get the idea. I just think that a new sunrise is a nice representation of looking toward the future. Whether it be about love, life, or everything in between, it’s about starting something new. “It’s Too Late” is about how sometimes two people who really love one another can end up hurting each other the most. Sometimes it’s nobody’s fault and people are jsut on different wavelengths going on different pathways in life; sometimes it’s both parties’ fault. Sometimes people do things without meaning to or without realizing and, before they know it, it’s too late to turn things around. Dave plays a groovy electric Citar on this and my keybass is the only bass track we used. Some inspirations were The Kinks, Vanilla Fudge, and The Seeds. This song started out as just an instrumental jam we would play at practice. It was right when I started getting into synthesizers and I wanted to do something really simple and spacey so Dave could just shred over it. I think a lot of inspiration [for this track] came from albums like Pink Floyd’s Meddle and The Wall. One day I was sitting in class with the tune stuck in my head and I wrote the lyrics. Then I got up, left the class, and unenrolled myself from school. It’s about the lack of encouragement to do what you feel in our education system. I guess after going through public school, I just felt like I spent a little too much time doing what other people said I should be doing rather than do soemthing that was important to me. It’s pretty much just a little story about a teacher telling his class how silly it would be to follow their dreams and that they should let the standardized testing determine what they’re going to do with their lives.